1.35 MB, 1080x1920px, 7.9 secs. 44.67 MB, 1080x1920px, 7.9 secs. 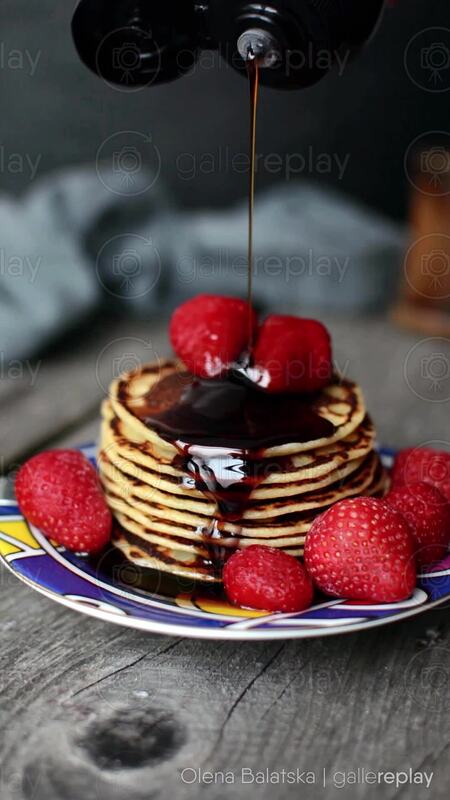 Syrup is poured on a stack of pancakes with strawberries.